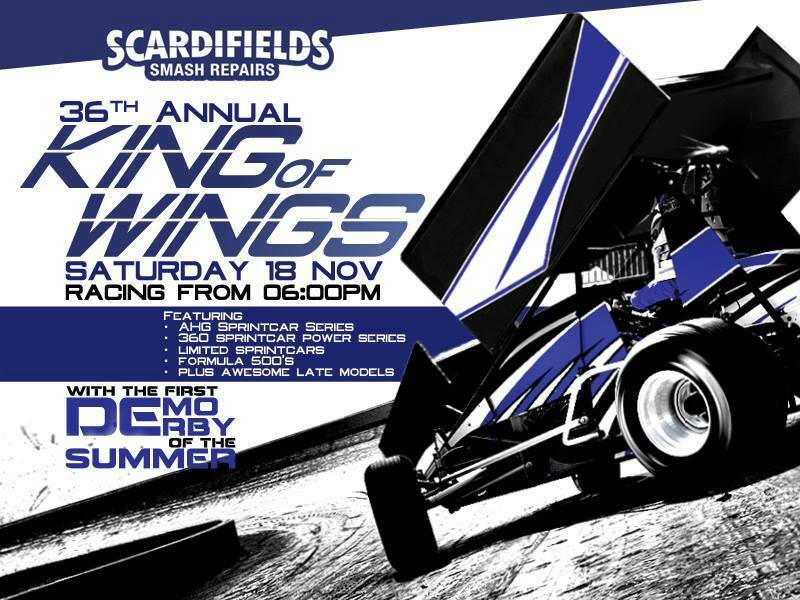 This weekend of racing was sure one to remember, from a spectating point of view you were treated to an exhibition of close racing with competitors able to race safely side by side, wheel to wheel and all racing lines available, The surface was smooth with a thin layer of loose dirt that went on to form a slight windrow on the fence as the programme continued on both nights. 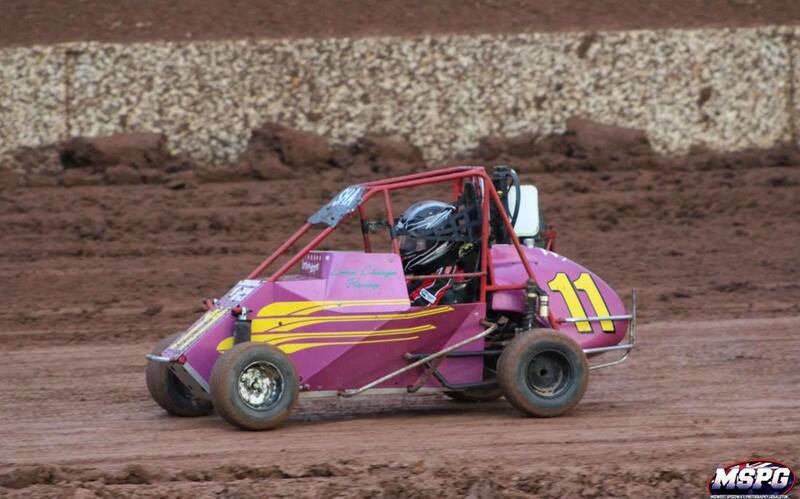 Race after race was run with some drivers running on the wall and others choosing mid track, as well as the short distance around the curb, positions were changing multi-pull times through out the racing. 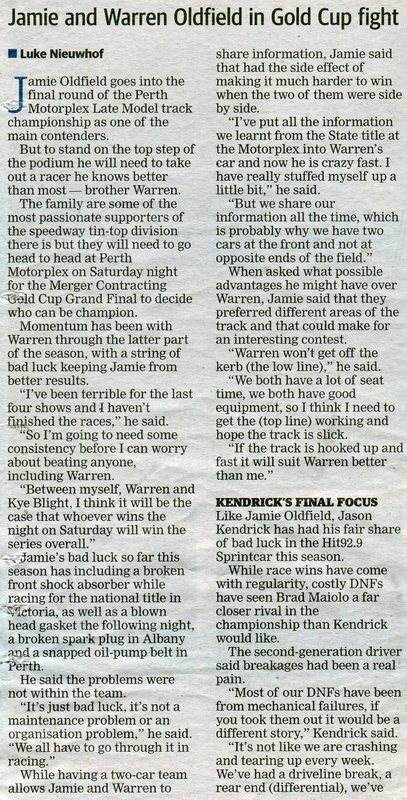 No records were set as far as lap times went, but because of the nature of the surface there were only a few well managed restarts. 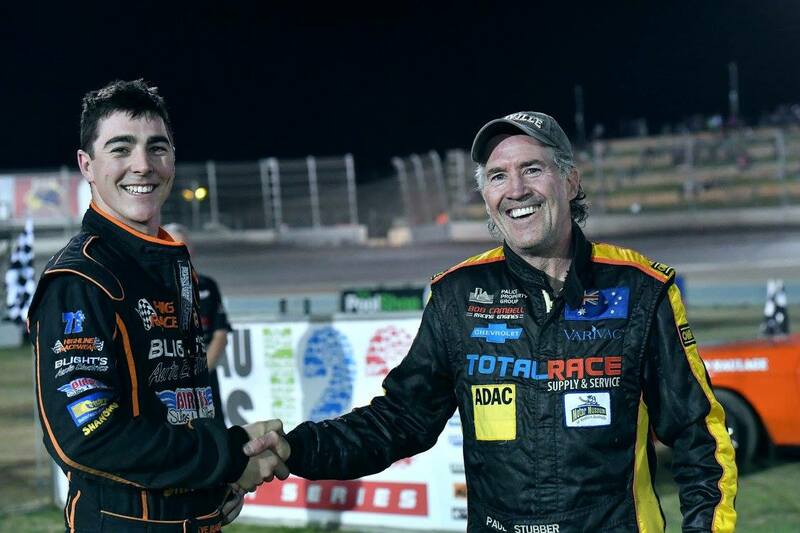 champion racing for Michael Holmes out of Perth, and Jason Fitzgerald from Florida getting into the Halliday Race machine also out of Perth. 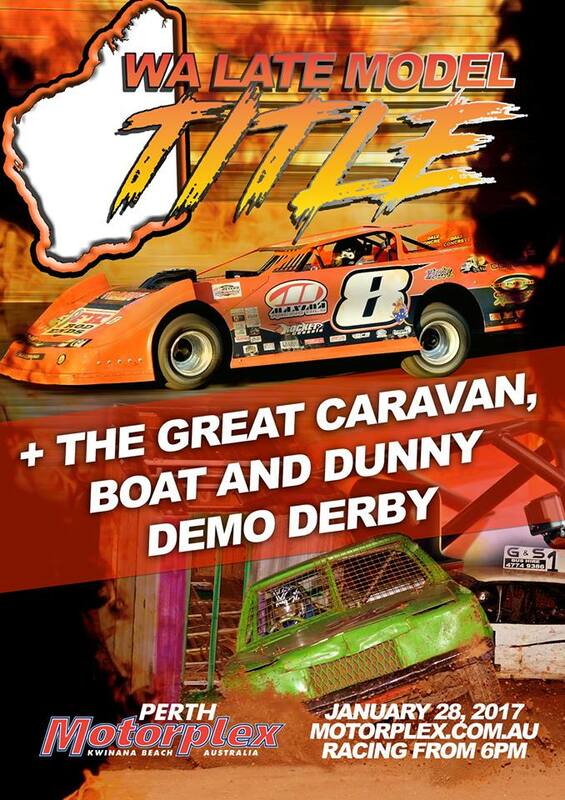 Over the two nights the support divisions were also viewed with the upmost respect from the management team in there promotion, In return Gavin and his team and the spectators were treated to two full nights of value packed entertainment. 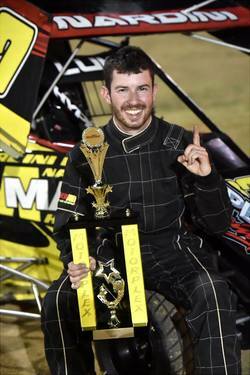 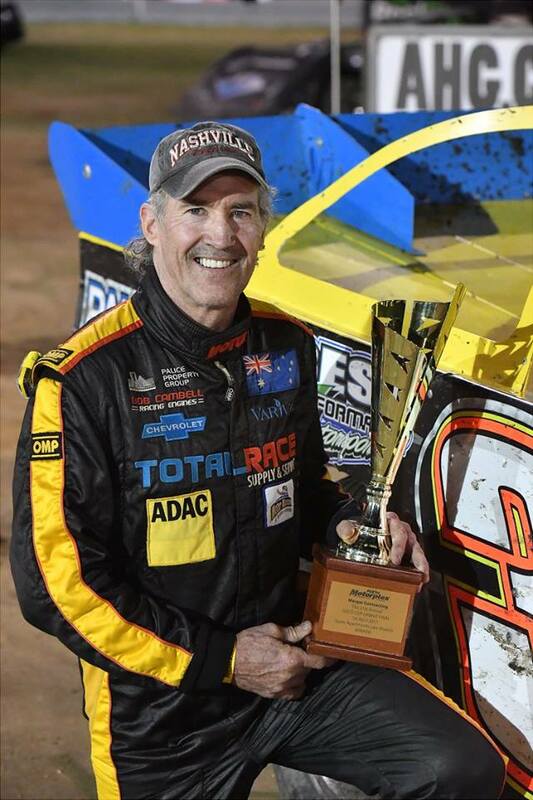 Only one week after the completion of the USA Invasion tour and the American drivers back in the states, Things were ramping up for a sensational State Title. 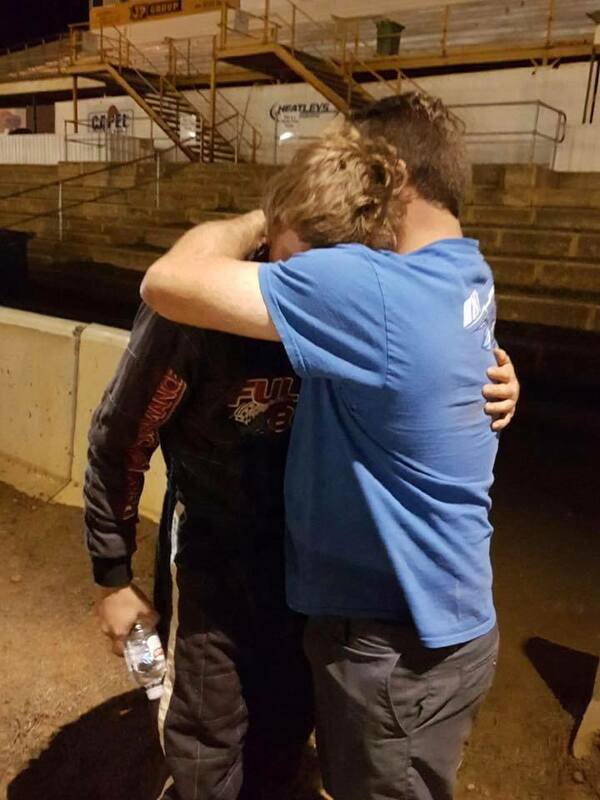 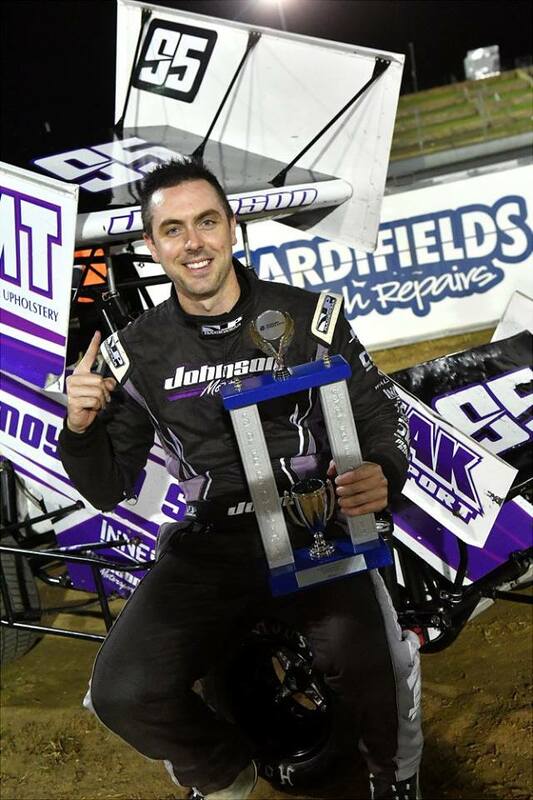 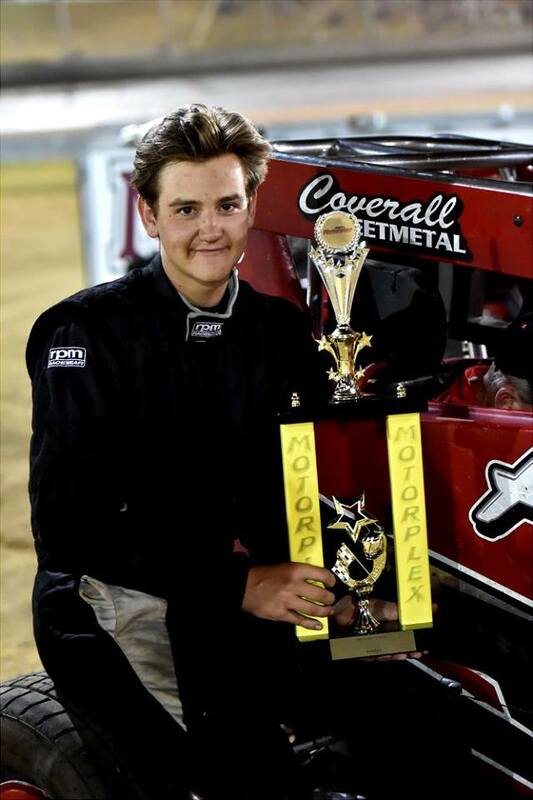 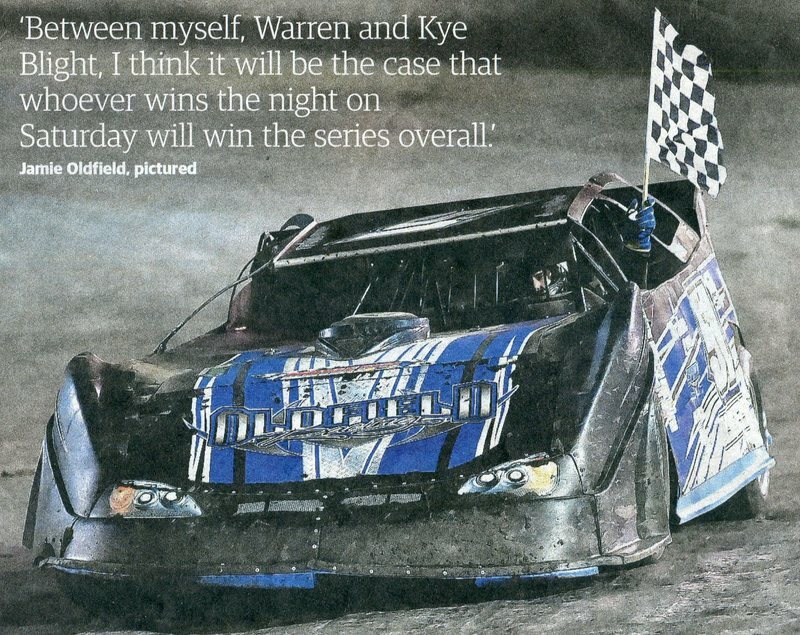 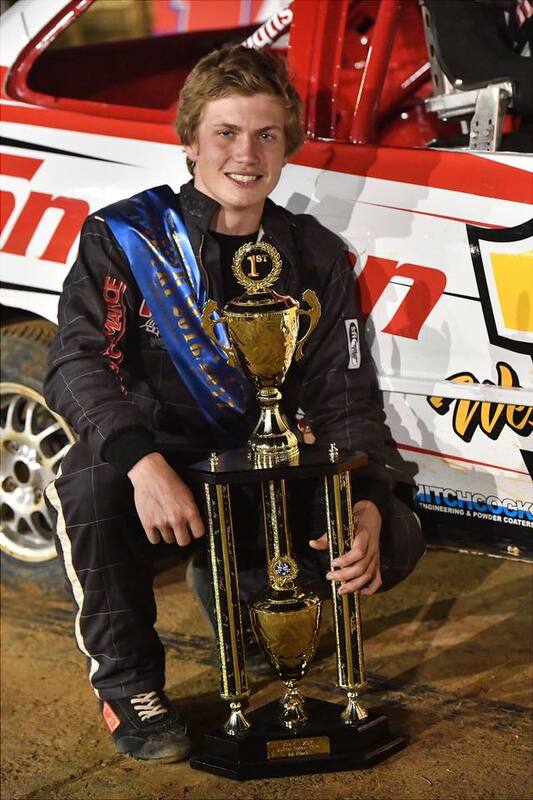 If it wasn't enough for Jamie Oldfield to win the West Australian late model title on the Saturday night while his son Bradley was defending his state title for juniors at Bunbury Speedway as part of a two night show. 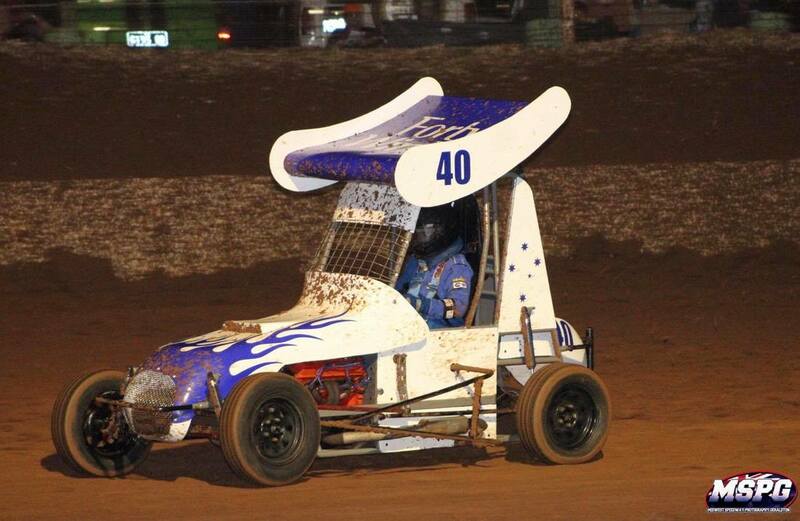 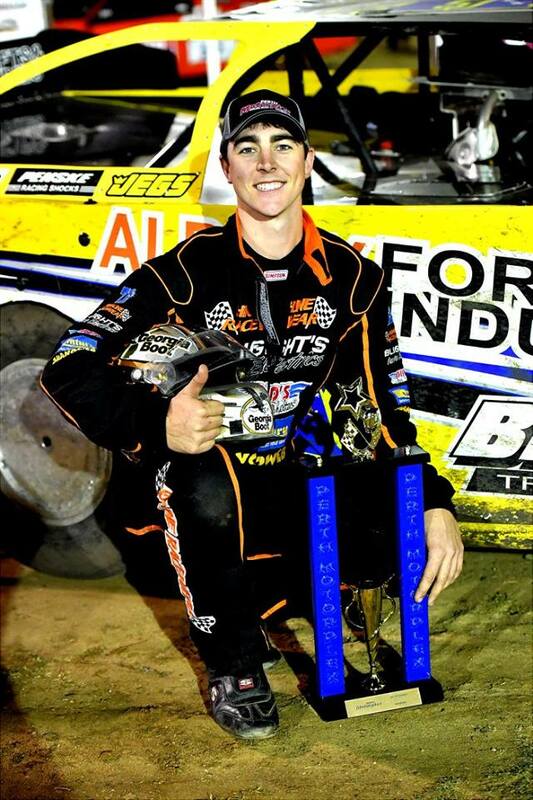 On the following night, the Junior Sedan final was run at Bunbury, this time with Jamie in attendance, Bradley would go on to win that title and lock in the record book the first ever junior driver to go back to back. 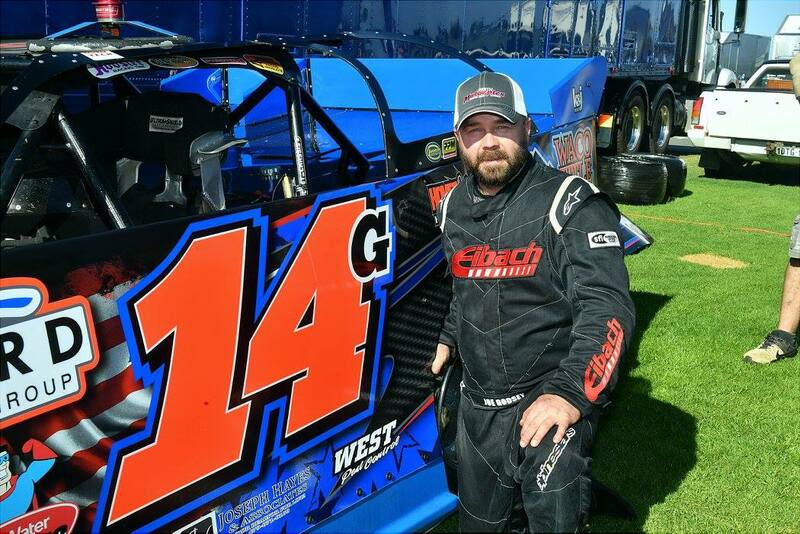 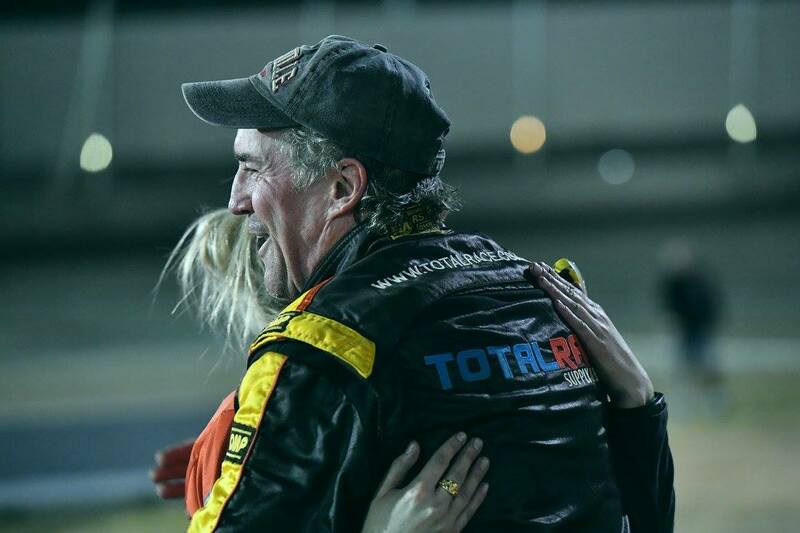 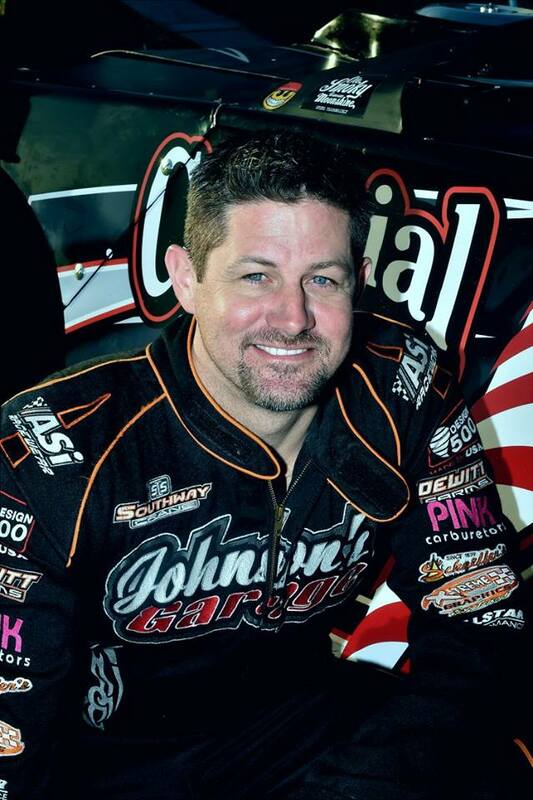 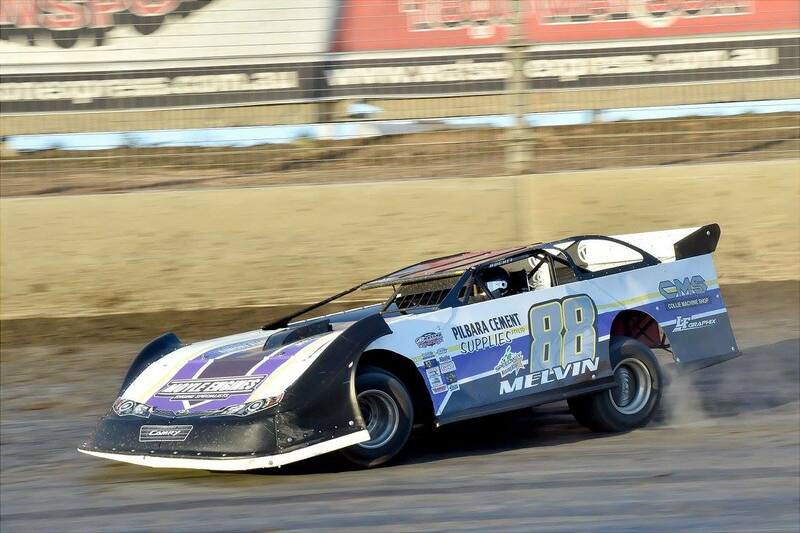 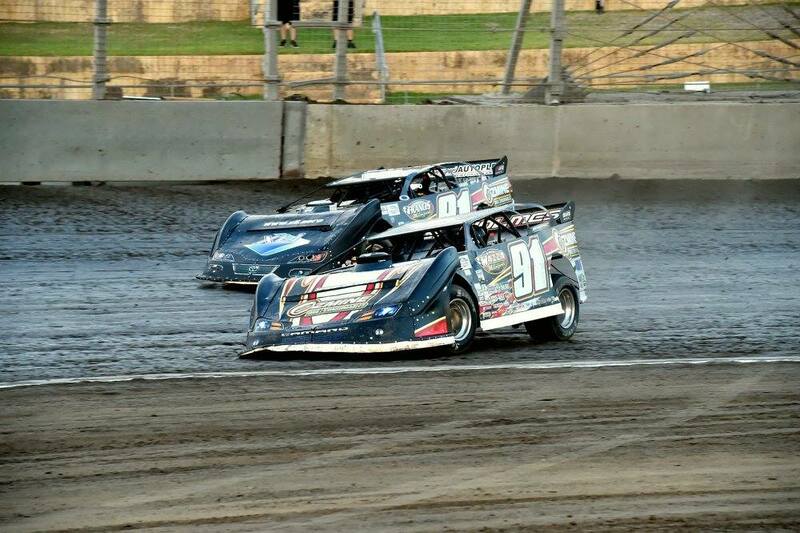 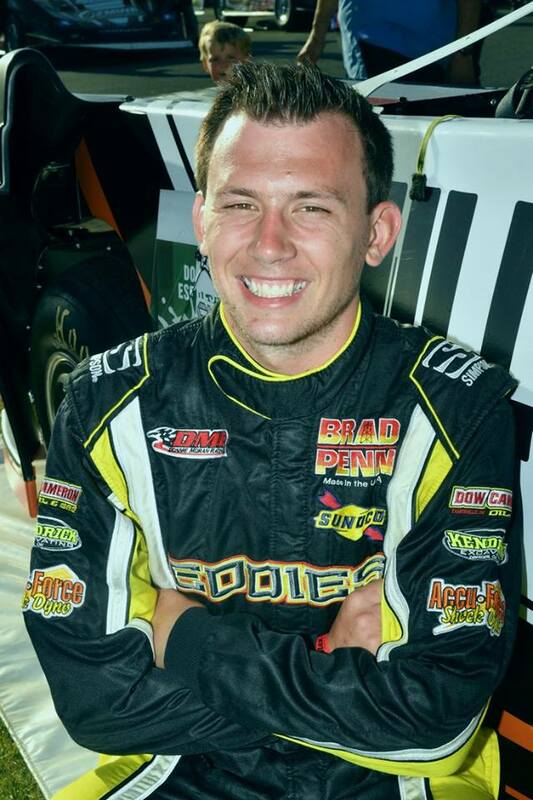 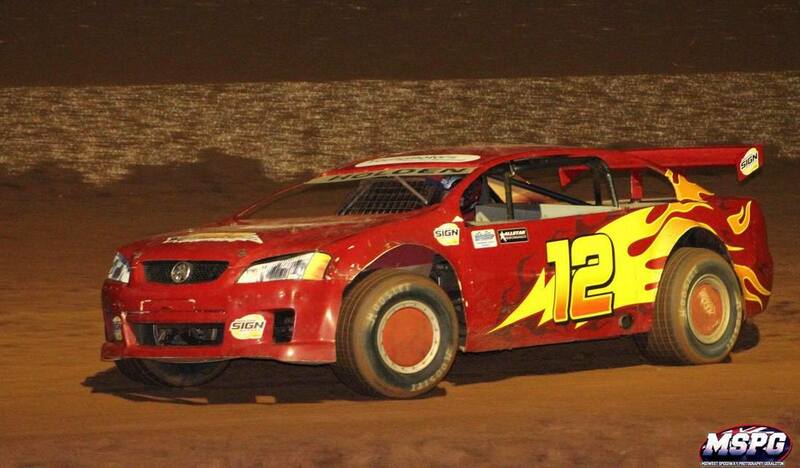 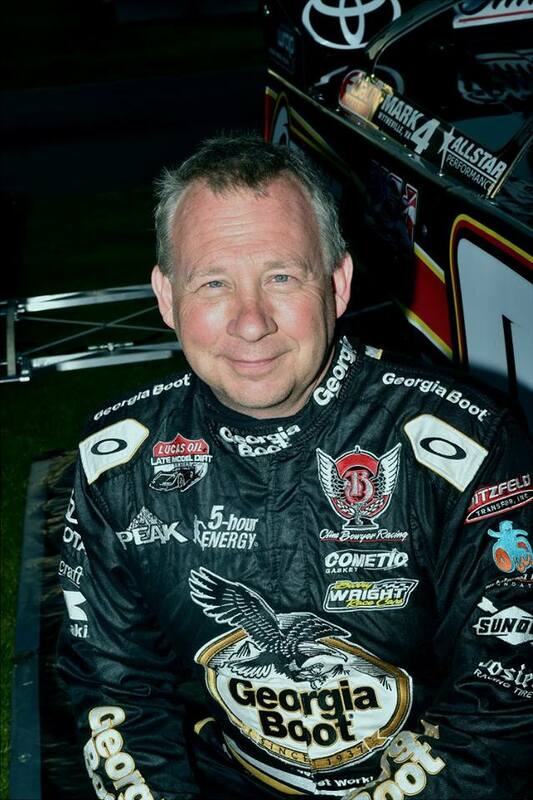 Paul Stubber has been showing a rapid increase in form and car speed since the USA Invasion tour, It seems that all fell into place on Saturday night with Paul taking out the final round of the Pro Dirt Late Model series at the Motorplex. 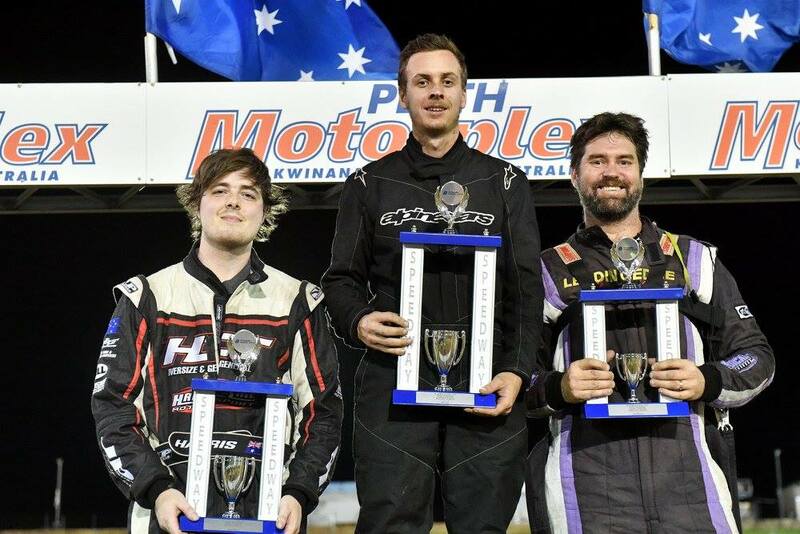 Paul started the feature from 3rd row inside next to Michael Holmes, while Jamie Oldfield and Kye Blight were off the front row, with Marc Giancola and Ryan Haliday off the 2nd row. 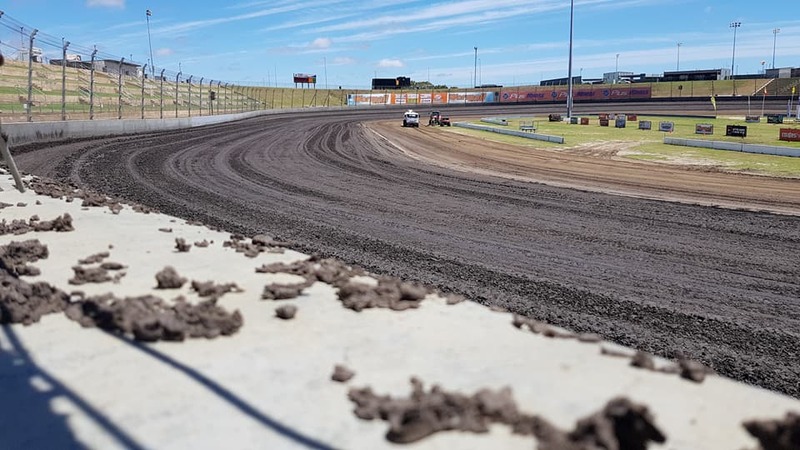 The racey track surface was once again perfect with many races going on within the one race, such is the new surface of the race track that cars retiring through breakages is a thing of the past. 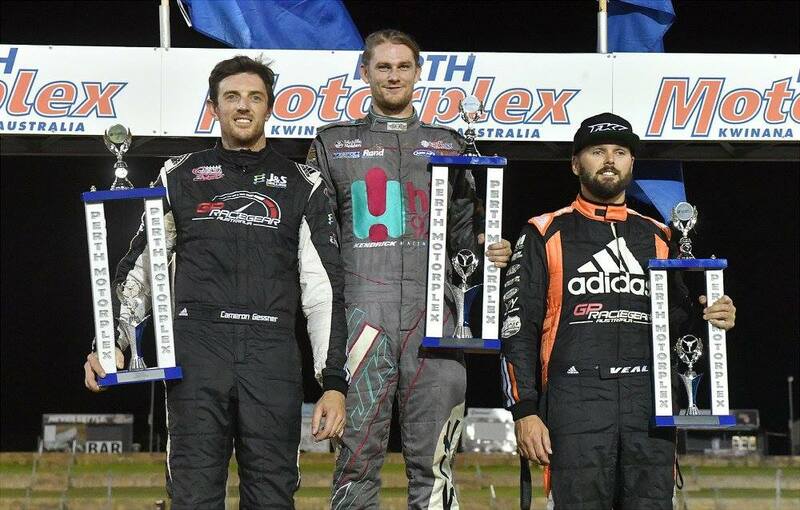 So with the 25 laps completed, Bunbury's Paul Stubber had a convincing win from fellow Bunbury Driver Kye Blight and third Michael Holmes. 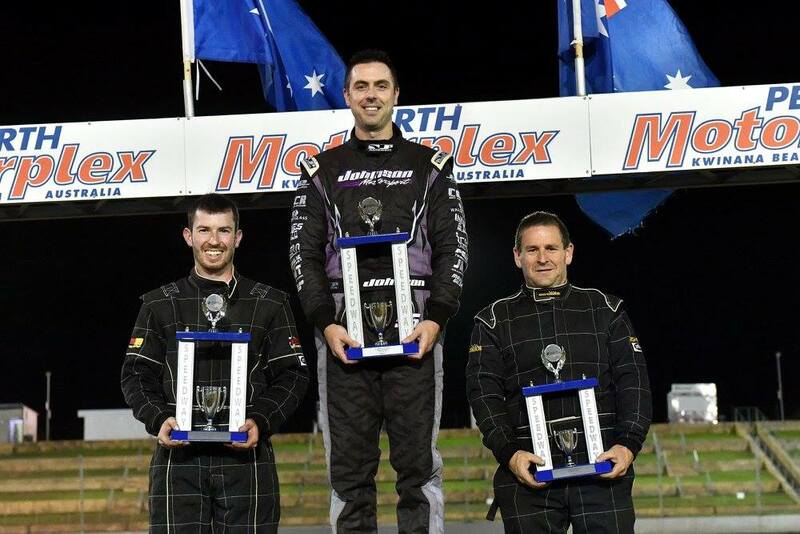 Jamie Oldfield finished the season on a high taking out the 2016 2017 Pro Dirt Series win by 1 point over Kye Blight, who was just 2 points in front of Warren Oldfield, As a bonus he also took out the Perth Motorplex Track Championship from Michael Holmes. 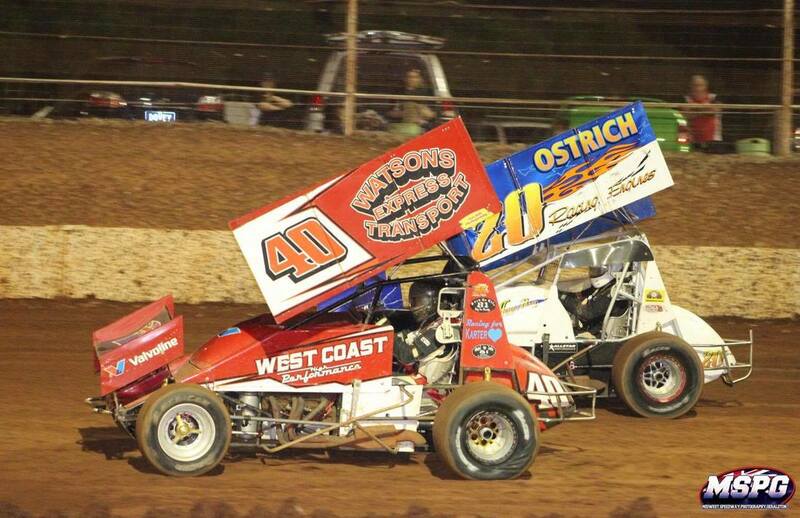 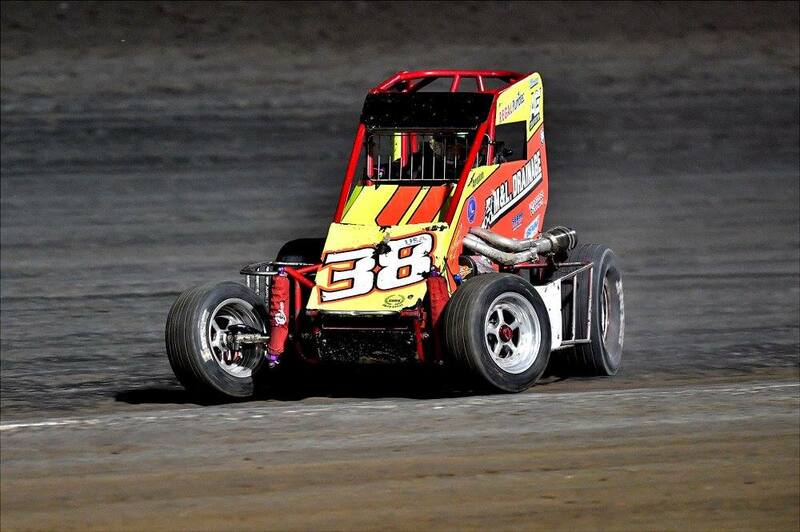 Saturday the 18th of November saw the Perth Motorplex host the 36th running of the King of Wings Sprintcar event. 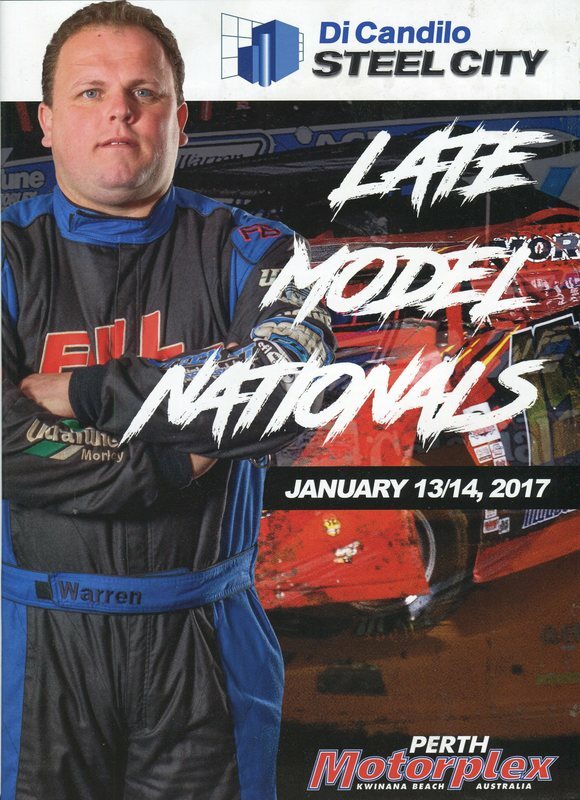 The programme consisted of three Divisions of Sprintcars, Open, 360's and Limited's, as well as Late Model Sedans and Formula 500's. 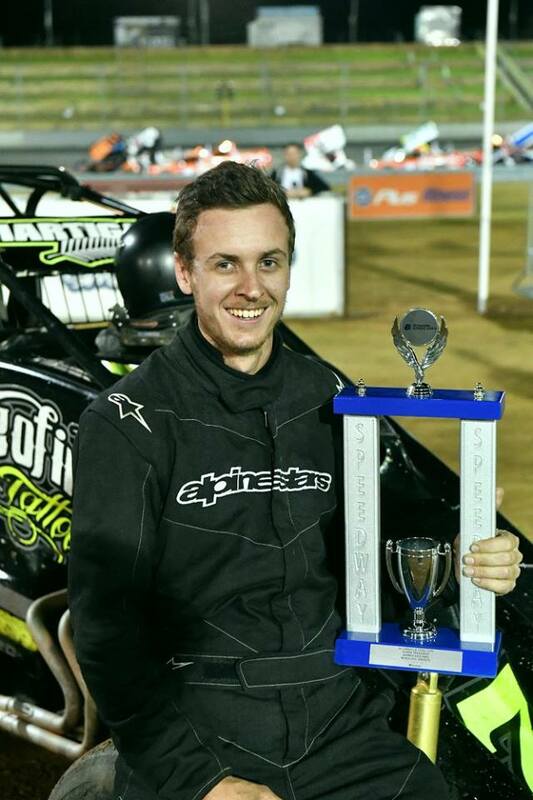 Kye Blight returned to racing after a lay off, crewing for Paul Stubber in America and building his new Longhorn race car, Not all went well for the Blight team earlier in the month while testing at Attwell Park Speedway in Albany, they detonated the engine, Paul Stubber loaned Kye the pistons to repair the engine and Jason Moyle worked into the early hours of the morning to rebuild the engine for his debut night racing. 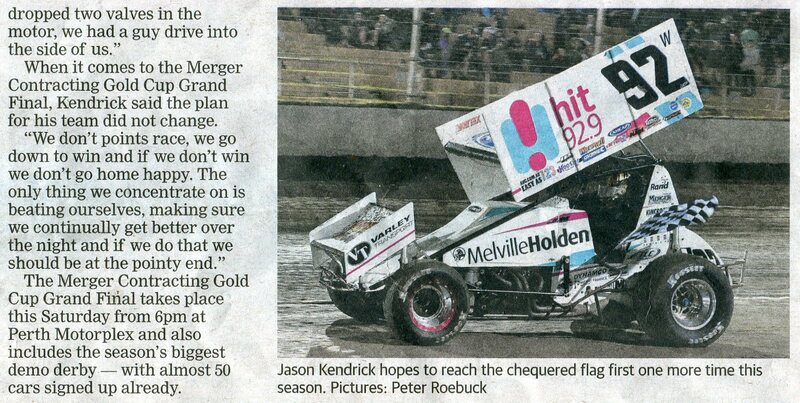 great result for all. 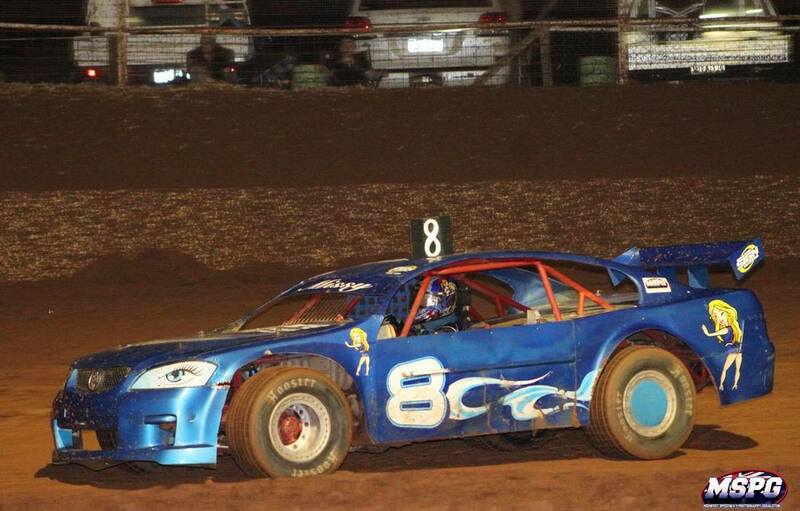 Joe Godsey from the USA was very impressive.